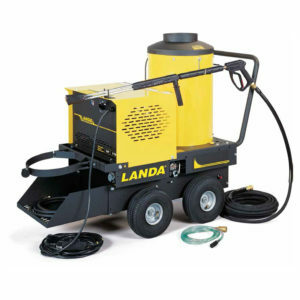 The VHG, with its fuel-efficient burner and vertical hot water coil, is the most compact natural gas hot water pressure washer on the market today yet is packed with Landa Karcher Group quality. 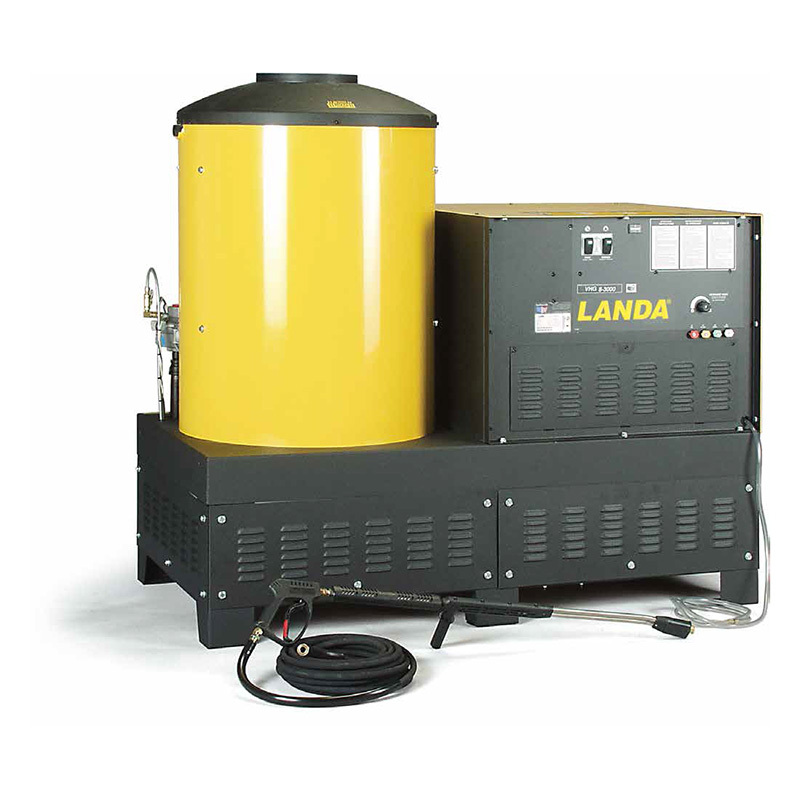 The VHG is only 24-inches wide, 53-inches long and stands 49‑inches high, an amazingly small footprint for all of the features and quality it possesses. Plus there are larger models for the bigger cleaning jobs. 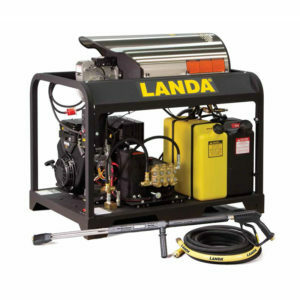 LanCom, Landa Karcher Group’s exclusive wireless remote operation of a pressure washer, is now available for factory installation on any VHG natural gas heated hot water pressure washer! 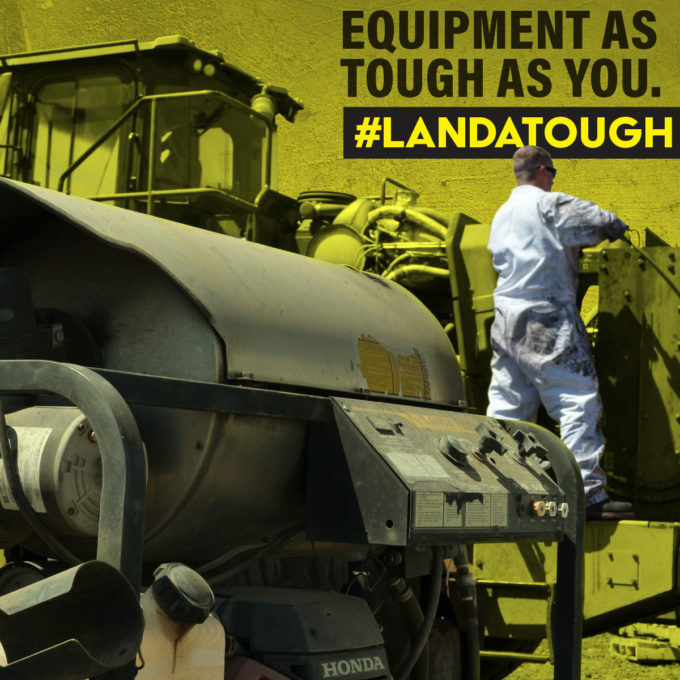 The VHG boasts many of the industrial-grade components and safety features that have set apart Landa Karcher Group pressure washers as the most dependable and safe in the industry. 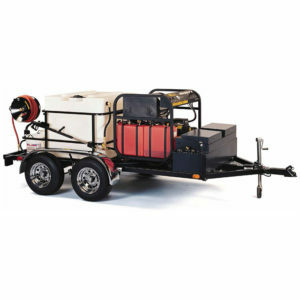 For instance, the VHG burner comes with standard electronic ignition on all models. 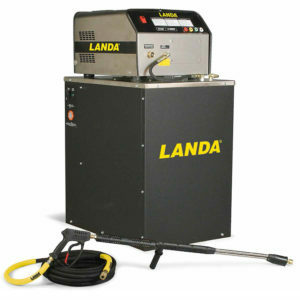 The heat is retained in Landa Karcher Group’s carefully crafted heating coils made of leak-free, cold rolled, half-inch, Schedule 80 steel pipe.